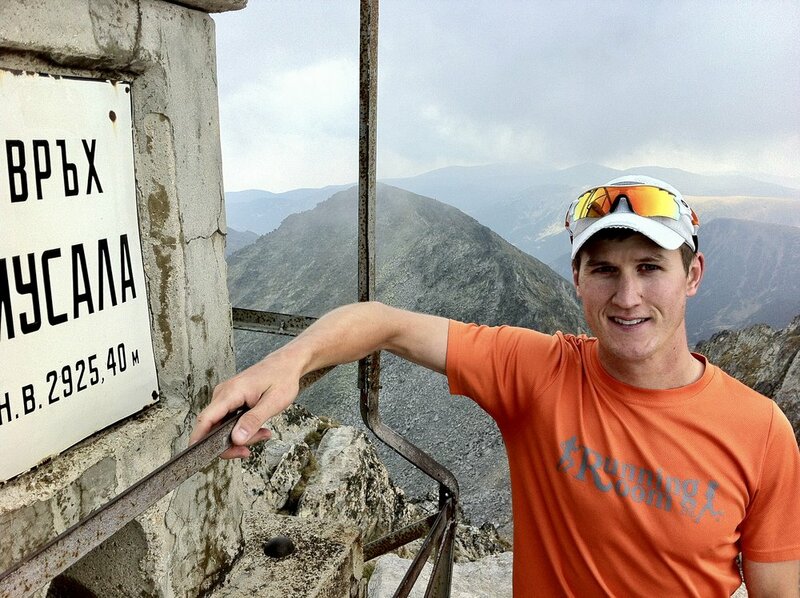 This article will outline Emily and I’s experience of training in Font Romeu, France in preparation for the World Mountain Running Championships in Andorra in mid-September 2018. We trained in Font Romeu for a week from 30 August 2018 to 06 September 2018. We stayed in an apartment called Apart-Hotel Le Pic de L’Ours. It was right across the street from the Font Romeu Tourist Information Centre. It had a full kitchen for us to cook our own meals, a laverie (coin washer and dryer) in the basement and cost about $430 CAD for 7 nights ($62 CAD per night). As soon as you get to Font Romeu, go to the Tourist Info Centre and buy a map of the area for 5 euros (see photos of this map below). It outlines 77 of the local trails and also includes a booklet with trail text descriptions of 35 trails. It is an extremely good map and extremely good value. Highly recommended. We made the mistake of also buying a second trail map for 3 euros. Kilian Jornet was on the cover and we mistakenly assumed it would be a good map. We were wrong. I would not recommend the map with Kilan on the front as the Pyrenees Catalanes map (photo below) is far superior. Rent a car, rent a car, rent a car. The trails are quite spread out so it’s pretty much imperative that you have a car to get around. Speak French or at the very least, try to speak French. The locals will appreciate it. Font Romeu has the best trail network of anywhere I have ever seen in the world. 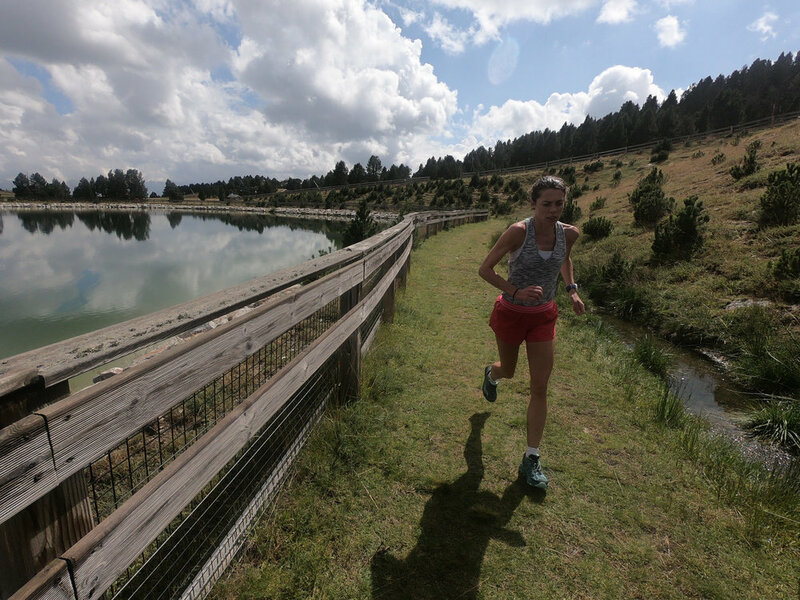 Emily and I have run in over 27 different countries around the world and Font Romeu’s trail network is the best we have ever seen. Extremely well maintained trails - we ran about 150 km on various trails and we came across only ONE downed tree across one trail. Trail Markers - Extremely well marked trails with a yellow horizontal line (approximately 10cm long and 2 cm tall). Trail Signage - yellow placards showing the way at pretty much every main intersection. I didn’t even have to carry a map! Universal and easy to understand by most nationalities - Each trail had a name and had a number (“PR 9 XXXXX”, for example). Although I can speak French, it was not necessary to find your way because there was a trail number. We ran twice per day while we were in Font Romeu (once at noon and once during golden hour in the evening). We ran on a different trail almost every single run. It was incredible! Definitely our favourite area to run. There were a few trails in this area including PR 40, 41, 42 and 48. Each of these trails is a loop but you can also combine trails to make a longer loop. We usually combined PR 40 and 41. 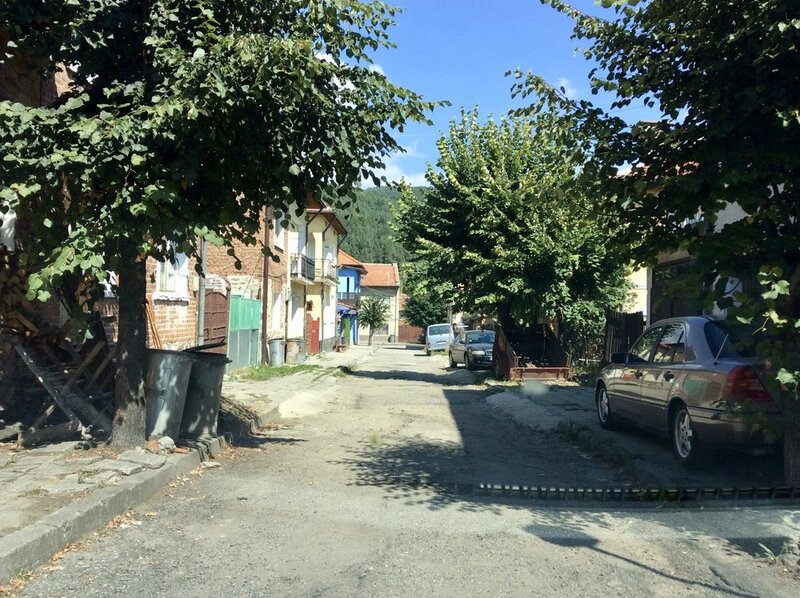 The elevation of this area is around 2,000m ASL. The three photos immediately below are from PR 40. This trail is a little closer to Font Romeu. Most of it is on wider trails like the one shown immediately below. I loved running this trail. It was one of my favourite trails in the entire area. I ran it in a counter-clockwise direction. At the start, I ran alongside a steep valley and pass beneath an arched train bridge (the yellow train, I believe). You will also pass by waterfalls and then run through several small villages. Highly recommended! One of our top 5 favourite runs. We started at la Llagonne, France and ran the trail in the counter-clockwise direction. Trail signs were plentiful and this trail was super runnable. Halfway through the loop we passed near a lake with a wooden boardwalk. Highly recommended! This was the best place for faster sessions. The elevation of the lake is 1,537m ASL, which is lower than where we were staying in Font Romeu at around 1,750m ASL. There were free parking lots on the north-west side of the lake near the campground. There is a fitness facility (Salle de musculation (weight room) and swimming pool) in between Lac de Matemale and the town of Matemale. One lap around the lake is about 9 km or so. About half the loop is a gravel path/road and half is pavement. If you are doing a longer session (90 minutes hard, for example), I would recommend changing directions occasionally (i.e. start running around the lake clockwise then switch so you are running around the lake counter-clockwise). The PR 54 trail loop takes about 30 minutes per loop. It’s relatively flat with a few cattle crossings. There will likely be cattle around. I found this loop to be decent but nothing too special. We ran half of PR 66. It was fairly good but we did it in a downpour so was nothing to write home about. We ran half of PR 57. It is a loop and we started running it in the counter-clockwise direction. It was decent from the trailhead to Coll del Pam but after that the trail turned into a steep single track that was quite rugged and barely runnable (it was more of a hiking trail at that point). Quite a good trail although we ran half of it in a downpour. A few kilometres from the trailhead we ran into a herd of cattle blocking the trail. The cattle responded to our calls of “Allez! Allez!” and moved out of our way. There is a 1,000m trail running path in the forest just north of Lac de Matemale. It is at the intersection of road D 52 and PR 21. Colorado Springs, Colorado, USA - I trained here for a couple weeks in Apr 2017. I really liked it although found Colorado Springs to be very sprawling and it took a long time to drive to the trails. I really enjoyed running up the Incline and continuing up Barr Trail to Barr Camp (the trail was closed higher up to get to Pike’s Peak because of snow). However, we did drive up Pike’s Peak (14,000 feet ASL) and did a short jog at the top. I did like running around 9,000 feet ASL at Rampart Reservoir but did not really fancy Garden of the Gods as it was extremely busy with tourists. Flagstaff, Arizona, USA - I trained here for three weeks in Dec 2017. I slept and trained at 7,000 feet ASL most of the time. I liked running up Humphrey’s Peak near Snowbowl. Lake Mary Road was perfect for longer sessions. There was a Whole Foods grocery store and Sprouts grocery store there, which are a couple of my favourite stores. Mammoth Lakes, California, USA - I have never run here but have heard the elevation there is about 8,000 feet ASL with trails going up to 10,000 feet ASL. Saint Moritz, Switzerland - I have never run here but a lot of Olympic marathoners getting ready for the 2010 London Olympic Marathon went here. 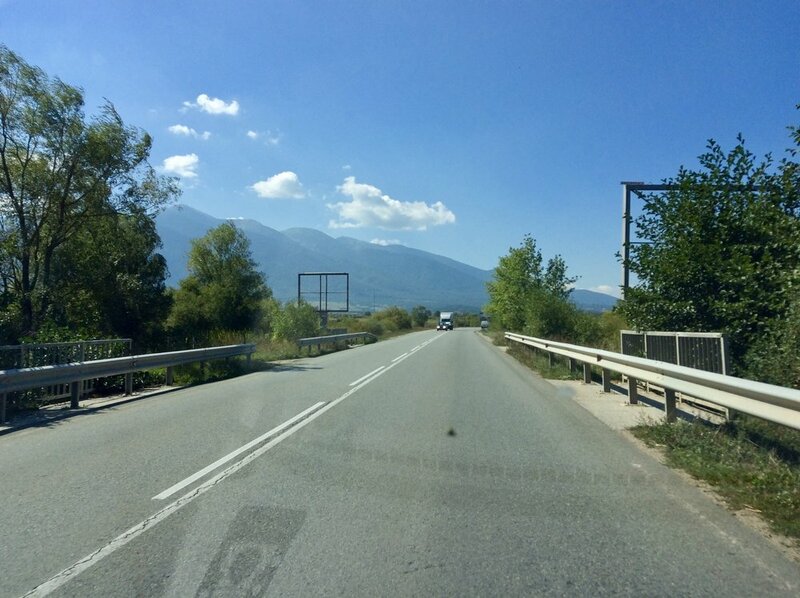 I hope this brief post has given you some ideas of where to run around Font Romeu, France. Overall, I would highly recommend training here. If you have any questions or would like more information about the area, please feel free to contact me at the “Contact” link above.